Advanced Physical Therapy, Inc. has evolved over the past 17 years into one of the premier physical therapy treatment and training centers in the country. Located in Midlothian, VA, we have attracted the best and the brightest physical therapists from throughout the United States to practice Functional Manual Therapy® and serve the entire Richmond metropolitan area. Advanced Physical Therapy, Inc. is 1 of only 13 Functional Manual Therapy Foundation Orthopedic Physical Therapy Centers in the United States. Our highly skilled and motivated physical therapists have enhanced professional development in the area of Orthopedics and accelerated proficiency in the area of Functional Manual Therapy®. This is a highly disciplined and advanced form of physical therapy that gets to the root cause of your problem quickly so that you can recover faster. This approach is an integrated and artistic intervention which couples mechanical treatment with manual neuromuscular fascilitation to enhance optimum motor control and human function. All of our programs use specific evaluation techniques to identify structural and movement dysfunctions that contribute to pain, decreased mobility and strength, degenerative changes, and decreased function. Based on our detailed evaluation, we restore mobility to your joints and soft tissues, including muscles, nerves, organs, skin, tendons, and ligaments. Once this is restored, we provide manual re-education to the muscles for improved firing patterns, strength, and endurance. We then retrain motor control and re-establish coordination of the injured area with the rest of the body to ensure that there is “Total Body Integration.” Each treatment plan is individualized to your specific needs. You will work towards our mutually established goals to attain your healthiest self. Utilizing Functional Manual Therapy® and APT’s unique “Total Body Integration” system, we evaluate the integration of essential movement patterns and motor control patterns needed for your sport or activity. From this extensive evaluation, we develop a specific plan that trains your body to achieve its peak performance. 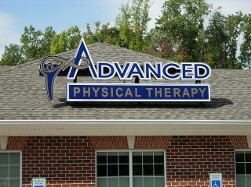 Advanced Physical Therapy, Inc. adheres to our treatment philosophy even throughout the most difficult of cases. We treat patients of all ages and fitness levels, including patients with post-operative injuries, chronic pain, and sports pain or injuries. Allow us to take care of you. On an on-going basis, we enthusiastically pursue the newest scientific knowledge and most progressive treatments in physical therapy. By listening to our patients and through assessment of their mechanical and functional problems, we treat the cause of pain and dysfunction, not just the symptoms. Last but not least, we enjoy what we do. This enjoyment and commitment to excel is felt by our clients and shared by all our staff. Our sole purpose is to serve the highest and best health of our patients. We strive for excellence. Our clinic is a state-of-the-art facility where we provide intensive one-on-one care to our patients. We specialize in treating the "most difficult cases." Our treatment philosophy is unique unlike other clinics because we utilize almost exclusively Functional Manual Therapy®, a specific “hands-on” manual therapy, along with Functional Movement Patterns training, Aston Patterning®, detailed therapeutic exercises, Pakua Chiang Qi Gong exercises, and patient education on posture and movement. Contact us to receive an athletic evaluation and for our Functional Manual Therapy® assessment & treatment.